I have accidentally deleted an invoice in the middle of the table. Is there a way to bring it back so that it would have the same number as before? 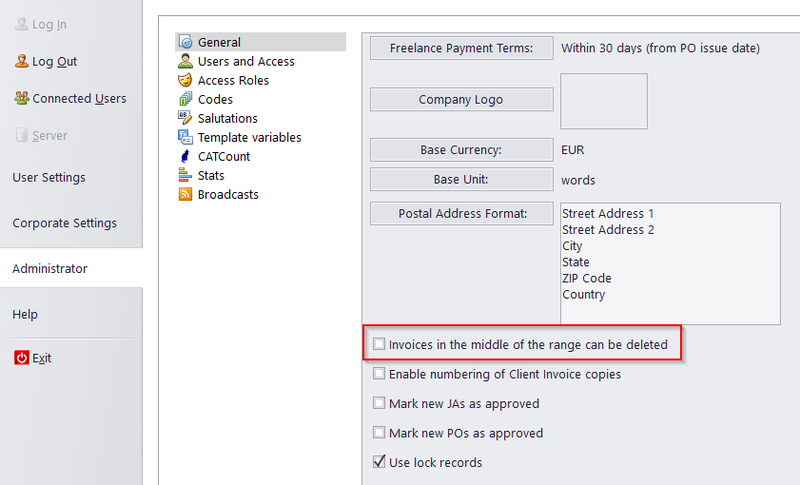 The only way to restore a deleted invoice without changing its number is to restore a previous backup of the database (unless the invoice in question is the most recent one, then it can just be re-entered). Please keep in mind that restoring a backup will also undo all the other changes made since its creation. To prevent this from happening again, please disable the option "Invoices in the middle of the range can be deleted" in your advanced settings (Advanced Settings/Administrator > General).